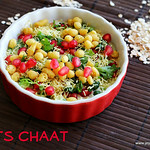 Millet recipes are gaining so much popularity now a days. 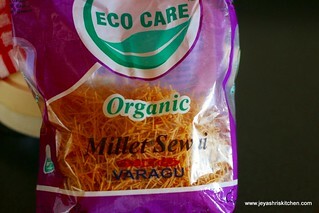 Recently i have got the Millet sewai packets from Bhairavi Naturals, supplier of Organic Millets in Singapore. They gave me a packet of Varagu Sevai and Kuthiraivali sevai packet to try it out. They deliver Organic millets at reasonable price at your doorsteps.. 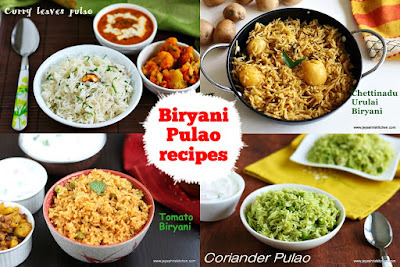 I have given a recipe for Aval Kitchen long back with the theme of Popular Singapore recipes. 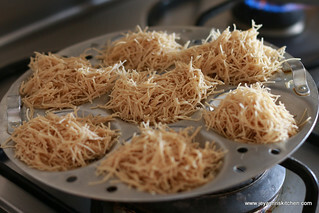 In that i have given the Rice noodles recipe too. 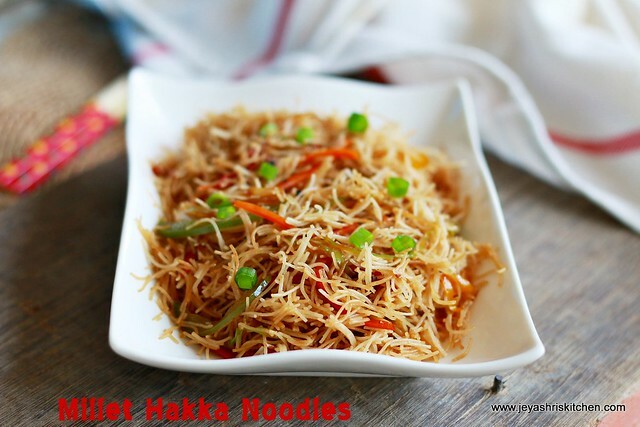 When i got the millet sevai, i thought i will make this Varagu noodles in Hakka noodles style. 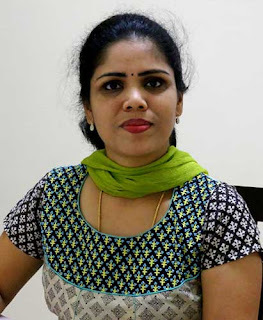 It was a super hit and got ready so quickly. 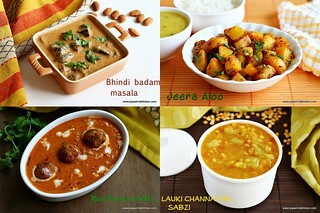 Stay tuned for more interesting recipes with Millet. 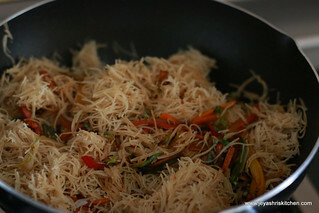 The recipe of Singapore Rice noodles is slightly different from this, will post that soon. 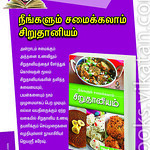 The instuctions as how to cook the millet sevai is given in the packet. 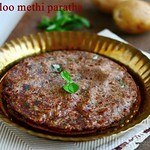 Also the lady who gave me the packets from Bhairavi Naturals too explained me how to cook the millet sevai. 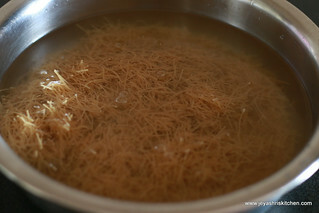 Soak the sevai in normal water for 5 minutes. 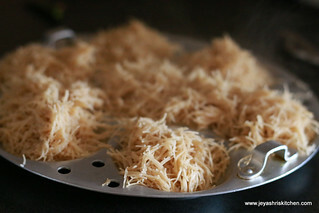 Drain the water and steam this sevai in a greased idli plates for 5 to 7 minutes. 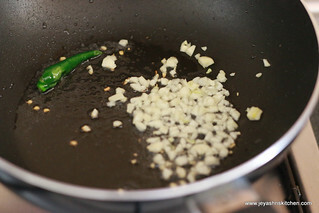 In a pan add oil and add the slit the green chili and add it. Add the garlic and sugar to this. Saute this for a few minute and discard the green chili. 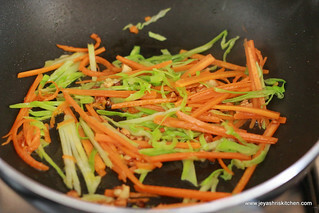 Add the carrots and cabbage and quickly cook this for a minute in medium high flame. 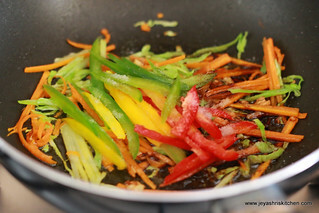 Add the chopped bell pepper ,soya sauce and salt. 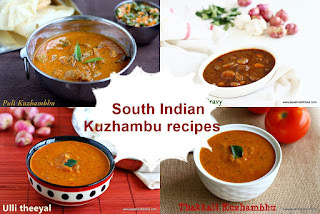 Give it a quick stir and add in the varagu milllet sevai. Add the pepper powder. Lower the flame and mix this evenly. Millet noodles is ready. Serve hot. If needed garnish with spring onions. You can add bean sprouts, tofu, broccoli to this noodles. 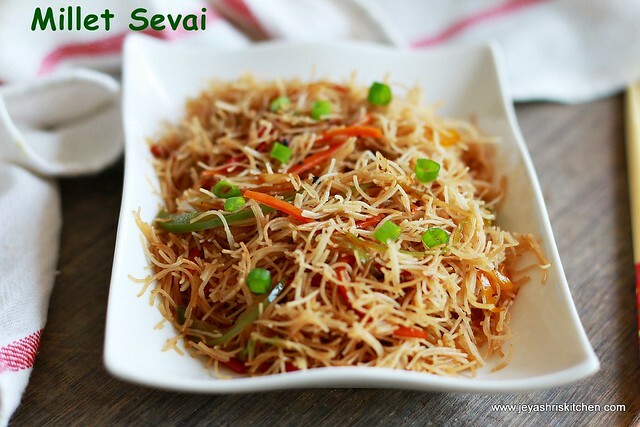 Keep the steamed sevai covered all times till you cook the veggies. 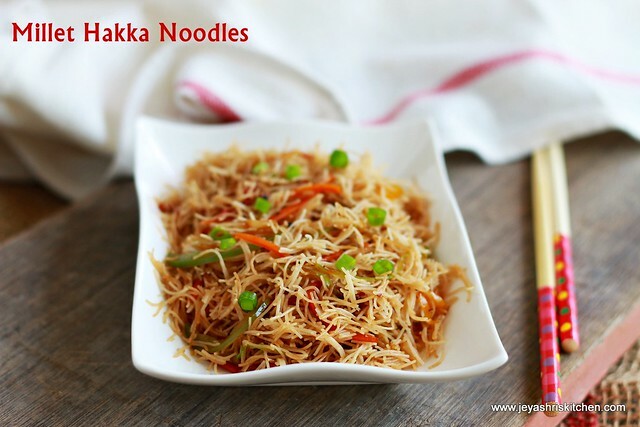 The noodles tasted very well and no one could find out that it is made out of millets. Very Innovative Recipe...but could not get your 2nd note...as I thought we must dry out the sewai by the time all vegetables get cooked. 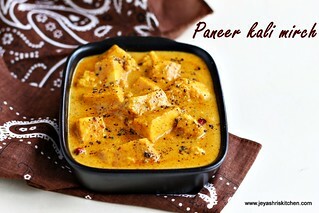 very tempting healthy and sure tasty too.. 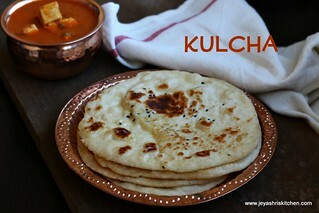 Very interesting recipe. Will try .